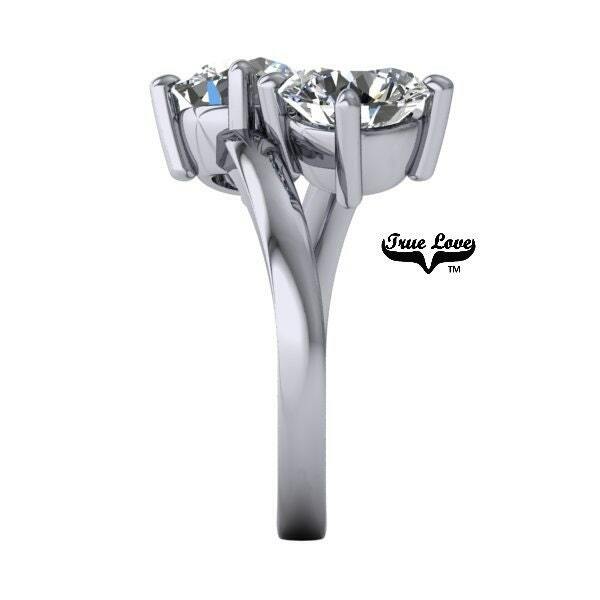 A stunning creation Two Stone 14 kt. 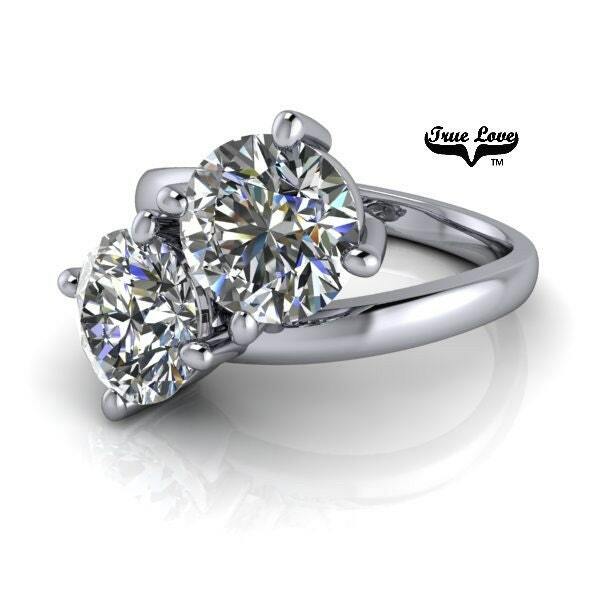 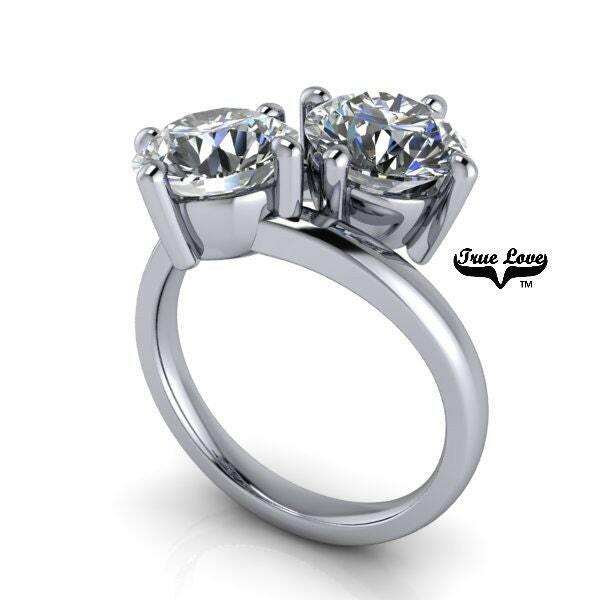 white Gold Round Trek Quality #1 Four Carat Total Weight Moissanite Engagement Ring set in 14 kt.White gold. 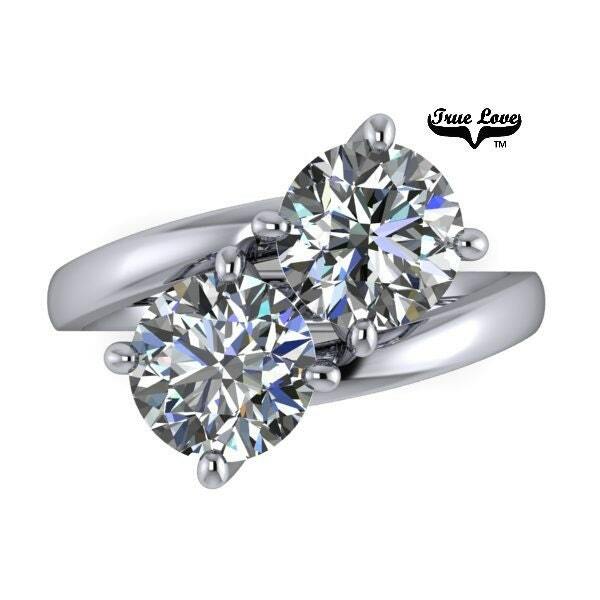 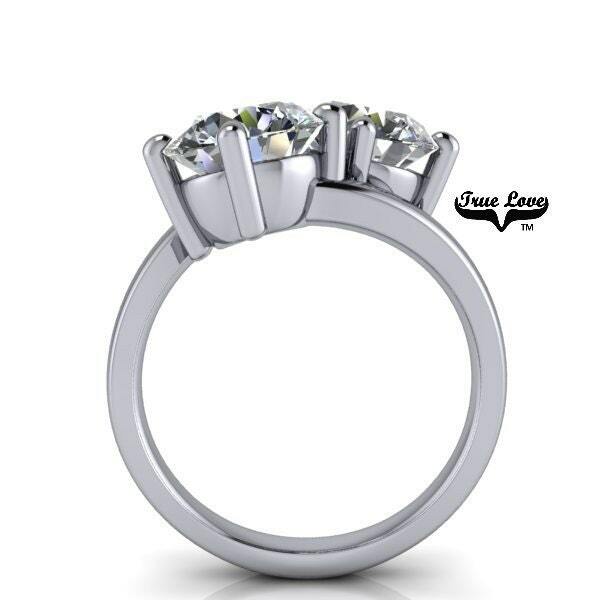 The Two center stones Are a breathtaking 8 mm 4 Carat Total weight Round Brilliant cut Trek Quality #1 t Moissanite.